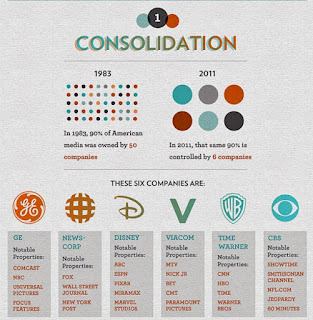 Abby Martin goes over the 6 corporations that control nearly everything in the mainstream media, and discusses a few of the most famous cases of media censorship with BTS producer, Manuel Rapalo. Executives for the big corporations are sitting on the board of these media businesses. Supreme Court Decision make's it clear that it is not illegal to lie and falsify the news. & PBS aired a drone documentary by Lockheed Martin. crowd and they respond well. the standard definition DVD or Blu Ray screening edition at this same website. cops and firefighters in the back row!Emoji THEY are the ones who need to see this movie! All the very best and a Happy New Year to you all.